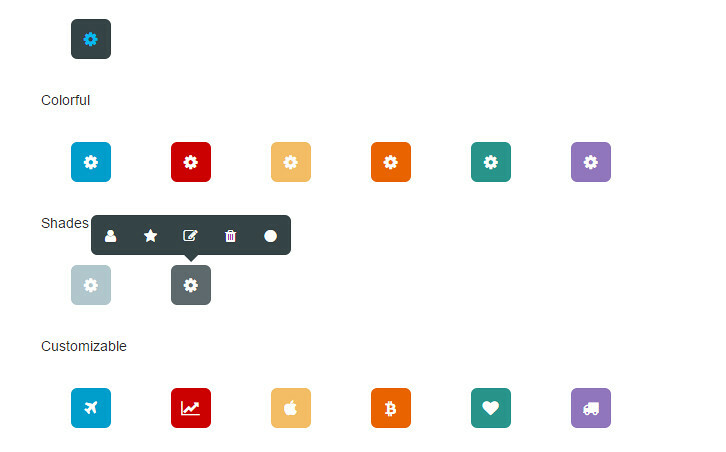 Toolbar.js is a jQuery plugin that creates tooltip style toolbars. It allows you to quickly create tooltip style toolbars for use in web applications and websites. The toolbar is easily customisable using Font Awesome icons and provides flexibility around the toolbars display and number of icons. You can run as many toolbars as required. Toolbars can be attached to any element required. Plenty of options to customised how your toolbar functions including position, animations and events. Toolbars are responsive and follow the buttons on resize.